The AON6912A is designed to provide a high efficiency synchronous buck power stage with optimal layout and board space utilization. It includes two specialized MOSFETs in a dual Power DFN5x6 package. 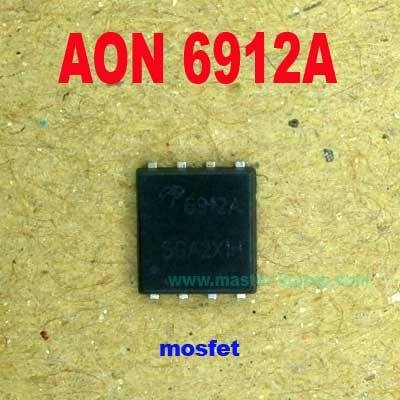 The Q1 "High Side" MOSFET is designed to minimize switching losses. The Q2 "Low Side" MOSFET is designed for low RDS(ON) to reduce conduction losses. The AON6912A is well suited for use in compact DC/DC converter applications.